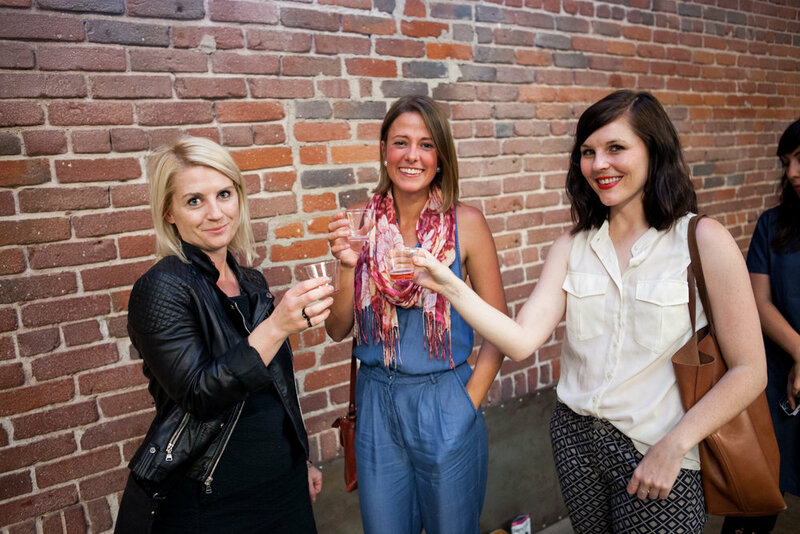 As you may have heard already, we just finished celebrating our 1 year anniversary. Yay! 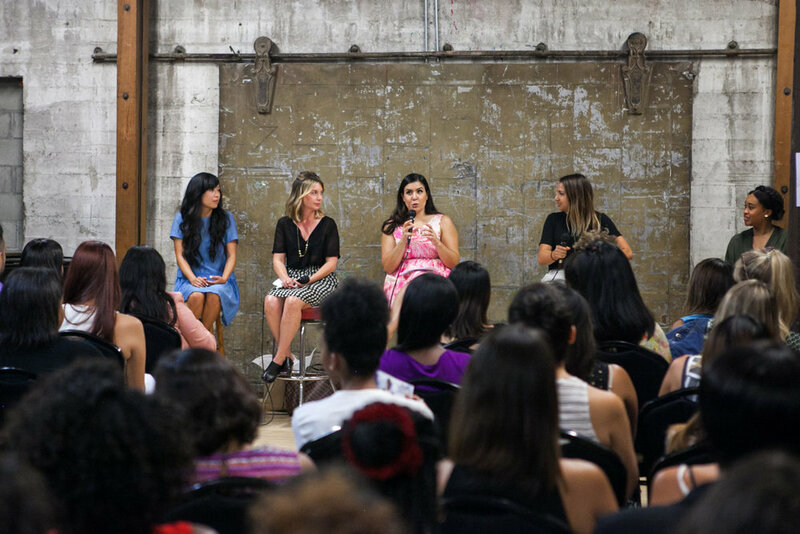 Trust us when we say that we are so excited for our future, but before we get too far ahead of ourselves, let's recap what our anniversary panel/party. Now now, what do you think of when you hear someone say branded partnerships? Maybe you think that's too far fetched because your following isn't quite there yet? Maybe the thought of reaching out to brands you love for a collaboration can even give you a bit of anxiety? There was a collective sigh of relief when we heard that smaller brands can get in on the partnership action with awesome brands too. 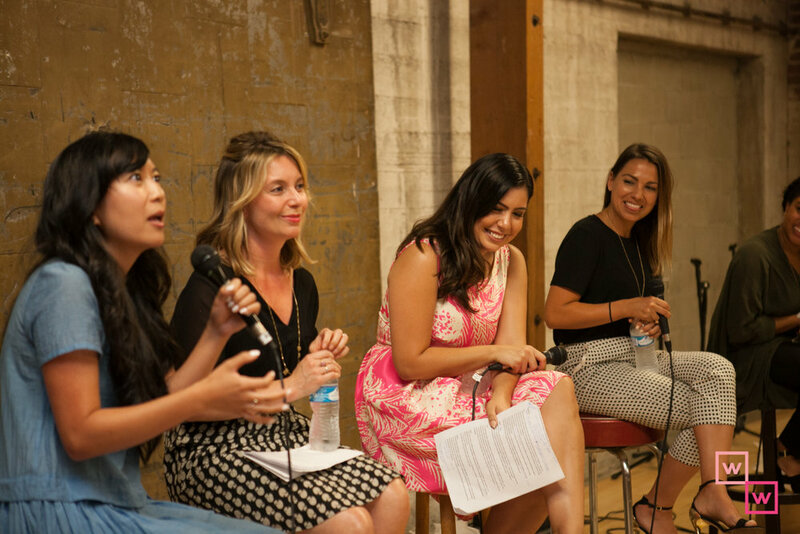 Thankfully our speakers took us all through some awesome advice on how make the ask even if your brand doesn't rack up 100k in followers. These bossy ladies definitely had the house shaking with lots of laughs and all their insider tips on how to scale efficiently and turn those branded partnerships into cash money! 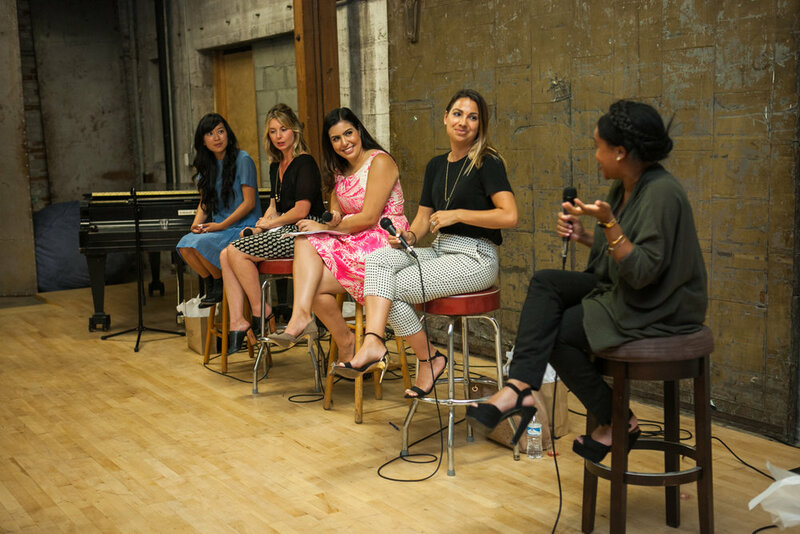 Worthy Women was joined by Dyan Dolfi-Offutt, the Founder of Soda Pop Public Relations, Sarah Boyd, the Founder of Simply Stylist and Simply Digital Network, the awesome Lizzy Okoro, the Founder of BUNCH Magazine, and of course Tam Vo, the head of digital for Joymode and Founder of Vo+Co. Make PR Relationships. Those will pay off. Ooh, we could not have said this any better Dyan. Soda Pop PR--Dyan's baby--just celebrated their 5th anniversary! Like she says Soda Pop is a small but mighty set of women and she is very proud of them. Dyan says when creating a branded partnership, "if they produce really great content and they are willing to celebrate a partnership", she wants to work with them. Dyan knows her clients trust her especially when she partners them with brands that can be a "win-win situation." She also advised doing your homework and throwing in going the extra mile, especially in a competitive environment. "Don't be afraid to go above and beyond." She also advises we should all start by taking those baby steps to get to where you want to be; "A lot of times as women we find ourselves having trouble being bold, especially when money is involved." Dyan encourages us all to set boundaries. And just like in relationships, if that partnership isn't serving you it's not meant to be, let it go. Something worthwhile is just around the corner. "Be persistent, be patient. " When talking about Brand Partnerships Sarah Boyd, the founder of Simply Stylist, is an amazing resourse. Her company is a little over 4 years old and yet has reached so many amazing milestones in such a short time. 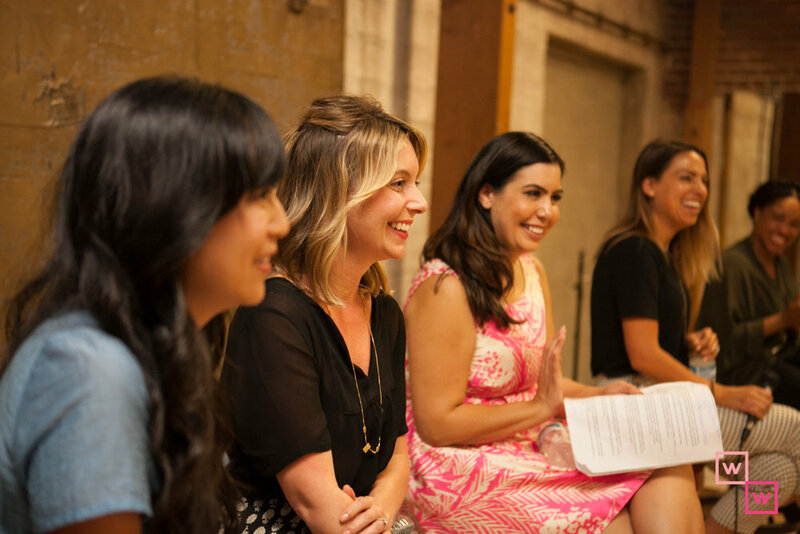 Simply Stylist hosts events, conferences and not to mention an awesome workshop in partnership with The Grove LA. They are all about connecting men and women in the fashion industry. The brand represents kindness, connecting, and in her own words: "YOU CAN SIT WITH US". Sarah said clients, brands and influencer growth, is as "simple as being authentic and real." It's those who put it all out there that she say's are gaining the momentum, they grow with ease. It's the mentality of "Here's who I am, take it or leave it." Sarah also pointed out, "everyone wants to help. Humans thrive on helping, you just have to find that person." Also on Sarah's agenda, she shares with us, "use your anchors" aka people who you've already worked with. In past conferences she's had Tyra Banks come and speak, she will use a huge name like that or a huge sponsor like Citibank when scouting brands to work with for her clients. Have those key anchors, sponsors, anyone you can think of that you've worked with so that your pitch just sounds that much better. Sarah came out with such good energy and a genuine love for what she does, we loved having her. Ask me for what you want and make it impossible for me to say no. Are you one of the BUNCH? Lizzy Okoro knows a thing or two about influencers and brands pitching their lives away in order to partner with BUNCH Magazine who not only bring creative individuals together but gets them resources to help them monetize for their plan/dream. I mean who wouldn't want to be featured in BUNCH Magazine? Lizzy told us what pitch works to get featured in BUNCH Magazine and what doesn't; " it's better to look at what doesn't work. And it might also depend on who you're pitching to." Her #1 reason for a bad pitch was not being sure of what exactly it is you're are asking for. In her own words, "you don't have to ask me for coffee, you don't have to ask me for drinks, because often times you're literally just wasting time." She would much rather you bullet point her what it is you're doing, what is it that you need from her, just be clear. She is also big on not using tricky language, get to the point. "Say what you want, and I will respect you so much more. Those are the people who will always get a yes, and who will get a coffee, if you're not playing games with me then I can respect that." Standing ovation for Lizzy on this one. All tho it might be a tough pill to swallow, being clear is good for both sides. Time, friends, is always of the essence. And when you're your own boss none of it can be wasted. Have the CONFIDENCE of a mediocre white man. Can we talk for a second about this quote?! Tam Vo took the cake! She had the room laughing and tweeting. As the head of digital over at Joymode, Tam Vo talked to us about Joymode's marketing budget, 'They dont have one!" She explained how influencers will exchange marketing for the amazing experience they have with Joymode. Whether it's a harry potter experience, or giant projectors with awesome popcorn machines, and not to mention the huge connect four, Joymode taught us that there is free marketing out there. Tam explains that we have to know our market. 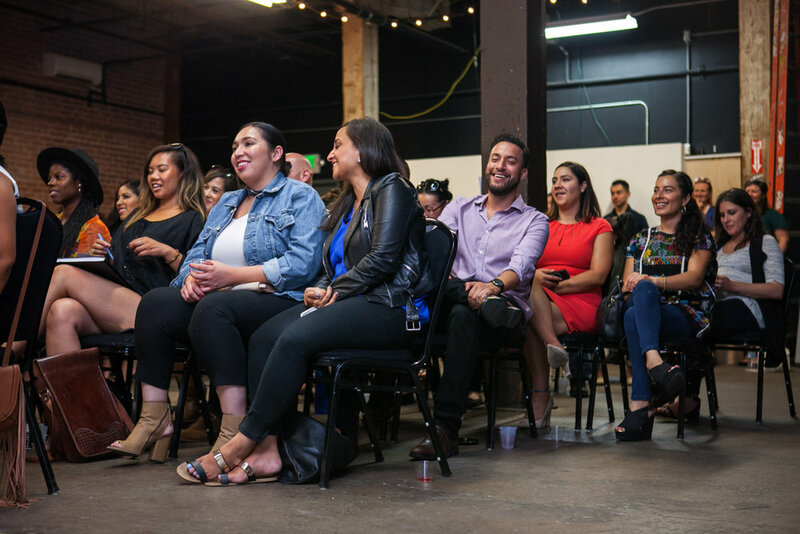 Knowing how to speak to your audience is key when promoting your services and/or brand. The key to Joymode's success with branded partnerships, says Tam, is continuously building a relationship with key players. She compared it to Game of Thrones, where you have your allies (network) and they have their allies (network) "and it can be a really long game, and sometimes you'll end up slaughtered" however she says "sometimes you'll come back like Jon Snow." Her specialty is bringing people together through experiences, not things; "It is an in-person connection and nothing online will bring that. Get the influencers to experience this and there is your free partnership." And if that was not good enough she shared how Tinder and Bumble are enormous helpers when searching for new users. We love Tam Vo and all the advice she had for us. She definitely gave it to us like a pro. There is something to be leveraged with everyone you meet. Audrey is always networking, even when she's not trying to. One thing about Audrey is that her business/brand is an extension of her personality. She shares with us that she usually wants three things out of you: your connections, your dollars, or she wants to work with you in some capacity. "There is always a way to expand regardless of who it is." Partnerships metric of success depends on who it is you're collaborating with. It can be money, extra followers which then transfers into possible investments. Success isn't always going to look the same in every branded partnership, however, the outcome is usually a good one. "Ask for what you want. You'll always be respected." If it's one thing we all got from the panel was ask for what you want. Don't be afraid to take those risks. We know it's scary! Remember everyone had a beginning! If you see a brand that you really want to work with reach out and see if they would like to partner with you. The worst thing they can say is no, and then you ask the next brand on your list. You don't have to be DulceCandy to win here. You just have to want it as much as you dream it. And remember, YOU ARE WORTHY! A big thank you to Art Share-LA for allowing us to celebrate our big 1 year anniversary in their awesome space, Springtime In New York Cafe, barkTHINS and KRAVE JERKY for our delicious goodies. Again thank you to all our lovely speakers. We cannot wait to spend the last 2 events with all you. Don't forget to also check in on our conference coming up in November.